A completely typical Apple II setup. 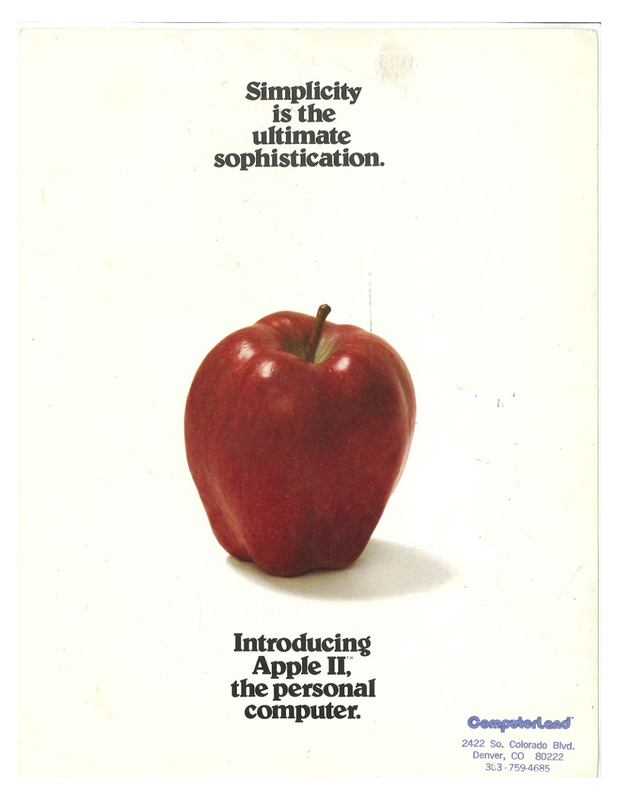 The copy is kind of crude compared to today's Apple, but you can see the germ of the Apple style being developed. Most of it is pretty geeky by modern standards, but this was absolutely mainstream next to pretty much every other hobby computer being sold at the time. I mean, come on! Those are actual real normal non-nerds discussing game controllers over a cup of tea and a sliced apple on tasteful dinnerware. Throughout all the ad copy, only one application is mentioned and depicted: STARTREK. 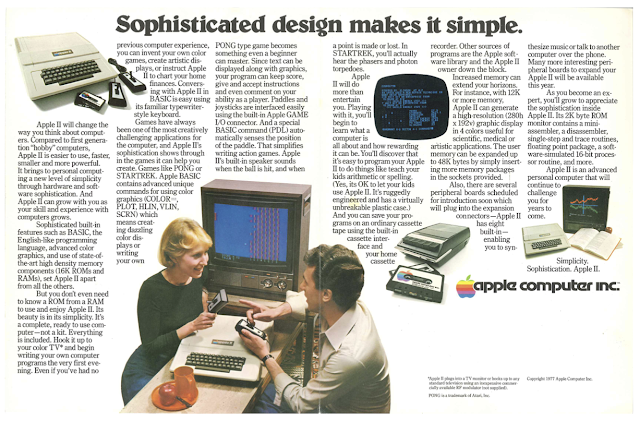 The rest is all about things like writing your own programs in BASIC, using a cassette recorder for storage, and all the great peripherals that will be coming out. Posting detailed specs on the back was pretty standard for the time. 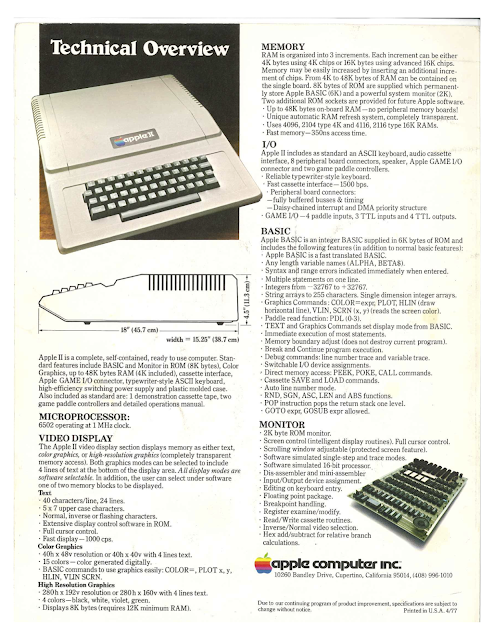 The Apple II included a 280x192 high resolution graphics mode, a 1 MHz CPU (that's megahertz with an "M"), a maximum of 48K RAM (but who could afford that? ), and a pretty nifty ROM filled with +Steve Wozniak magic that included a monitor (command shell), Integer BASIC, the SWEET 16 virtual machine, a mini-assembler that was the first assembler I ever used, and more goodies. The Apple II was an amazing machine, and this brochure was my first hint that something special was going on. But I almost didn't buy one because it was too expensive. Almost didn't, glad I did.